Here you’ll find answers to Frequently Asked Questions about Orders, Shipping Warranties etc. We’ve also created FAQ’s for many of our Product Pages. These answer more specific questions about the individual products. If you still can’t find the answer you’re seeking, please call us on Free-call 1800 155 233 or send us an email. Welcome to popupmarquee.com.au. We’re constantly working on ways to make our website easy to use and provide you with all the information you need to make an informed decision. If you see an item you want to buy then simply click the ADD TO CART button beside it. When you’ve finished all your browsing, hover over the Shopping Cart at the top of the page and click Check Out. Immediately you’ll see that you are in a secure area (https://). Check that all your items are in the cart and complete the order process using PayPal, a Credit Card or by nominating to make a Direct Deposit. You’ll receive an Order Confirmation from us within moments of your order going through. When the goods are dispatched you’ll receive another email from us with a Tracking Number. You can calculate the cost of shipping the item right on the product page. This makes it easy for you to know the complete cost of the item delivered right to your door. Once you’ve placed your order we pop into action. Stock items are usually shipped the next day so it is hard to cancel an order once it’s been shipped. If, you order a custom printed marquee and you’ve signed off on the artwork we’ve already started the printing then we can’t change your order and we will charged the cost of printing. If you do need to cancel an order for some reason immediately after you’ve placed the order call or email us ASAP and we’ll see what we can do. If you’ve received the item then you need to refer to our Refund Policy. CAN I TALK TO SOMEONE AT POPUP MARQUEE IF I NEED EXTRA ADVICE? Absolutely! We’re right here waiting to take your call. We know our products inside out and will do our best to answer all your questions. Call us anytime between 9am and 5pm Monday-Friday. If you have already accepted delivery, and subsequently notice that the product appears to have been damaged in transit, you should notify our Customer Service staff immediately. Contact office on the number listed and we will work with you to get the problem resolved. HOW DO I CONTACT POPUP MARQUEE? Just give us a call, send us an email, post us a letter or call in. Popup Marquee operates from a warehouse complex in Ingleburn, South West Sydney. Yes, we do have showroom where we display a range of the products advertised on our website. Customers are always welcome to visit us, inspect the various products and receive professional advice. We’re open from 9am-4.30pm Monday through Friday. We do open Saturday Mornings during summer from 9am-1pm but you should check on our website for specific weekend trading details. IF THERE IS A PROBLEM, WHO DO I CONTACT? We’re here to answer questions and solve problems. Call us direct on 02 87118990 and once you explain what the problem is we will do our best to solve it right there on the spot or put you through to the person directly responsible for solving your specific problem. We use SSL certification to protect sensitive credit card information. You will see in the menu bar that when you click through to the checkout the web address changes to HTTPS meaning that you are operating in secured environment. We do not store credit card details, your orders are processed with our bank, The Commonwealth Bank, or on PayPal’s server not ours. If you establish an online account with us then your details including credit card details will be stored on our secure server so that you don’t have to enter all your details every time you place an order. We hold a database of customer details which we use from time to time to send out information about specials, news and other things we think you will find of interest. This information is also used for Warranty claims and other business processes. We do not sell or exchange your personal information and it is safe with us. IF AN ITEM IS DISCOUNTED OR ON SPECIAL WILL MY DISCOUNT BE APPLIED IF I SHOP ONLINE? Definitely! We regularly discount items on the Popup Marquee and run Spot Specials. If you see an item on special and place it in your cart, you can be sure that the Special Price has been transferred. Rest assured that if you see a special price, you can buy the item at that price on line. Yes of course, all prices are displayed in Australian Dollars, including GST. We do. We find that many people like to use PayPal and it is one of the methods of payment we’re happy to accept. CAN I VISIT POPUP MARQUEE TO SEE THE ITEMS BEFORE I BUY? If you’re coming from a long distance to look at a specific item it’s always a good idea to give us a quick call in advance just to make sure that we have stock of the item you’re interested in and that it is currently on display. DO YOU HAVE STAFF WITH EXPERT KNOWLEDGE I CAN TALK TO? We like to think so. We’ve been doing this for a while now and we’ve build up a good deal of knowledge about what works and what doesn’t. We’re happy to share our experience with you, just give us a call. On the final check-out page. If none of that works for you, just give us a call and we’ll give you a shipping quote over the phone. Sometimes, particularly if you’re ordering multiple products or, you’re in a remote area, the shipping cost may seem high. Don’t panic, give us a call on 02 87118990 and we will recalculate your freight price to see if we can do you a better deal. Shipping for us is not an area where we make profit. Our sole aim is to deliver the goods to you at the best possible prices. Of course this depends on what you’ve ordered and where you are. If you’ve ordered a standard stock item, typically it will leave us the next day. You will receive a tracking email where you can click on the link to see when the transport company plans to deliver it. If you order a custom-printed product then it can take a few weeks for your delivery to arrive. If you have any questions about shipping times or need your order delivered by a certain date, then you should give us a call just to double check that we’re going to meet your deadlines. Melbourne to Cairns, Sydney to Perth, Darwin to Adelaide and everywhere in-between. In other words, we ship Australia wide. Not really no. We need a physical address as it’s pretty hard for the Post Office staff to receive and store a popup marquee. WHAT IF I’M NOT AT HOME TO ACCEPT DELIVERY? When you’re placing your order we’ll ask you a question, “Is it safe to leave the goods if you’re not home”? If you say yes you can give us some instructions such as, “By the front gate”. We use this as an ATL (Authority To Leave) and we instruct the courier to do-so. If you’re not going to be home and you live somewhere where it isn’t safe to leave the goods (such as an apartment complex) then you’ll need to get your order delivered to another address, perhaps a work address. CAN I EXCHANGE AND/OR REFUND? In most instances you can, however, there are some conditions. Let’s go through them so everyone is on the same page. If you purchase an off the shelf item and decide it is not suitable you can return it to us within 7 days for a full refund. You will be responsible for the return freight charges. The item must unused, in new condition and the original packaging must be intact. Labels must still be attached to the product. If the item has been custom-printed made, we can-not refund or exchange the item as we’ve made it specifically to your instruction. If you return a product and it is damaged or the packaging is not as new, you may incur a restocking fee. We do not accept items that for return more than 30 days after the purchase date regardless of their condition. Ex display and items sold in the ON SALE section of our website do not qualify for refund or exchange. We understand that occasionally this does happen. Don’t panic, if you receive a product and you think it is faulty, let us know immediately and we’ll sort it out. We do reserve the right to get the goods back and make an assessment as to what the problem is and how it occurred before we refund or replace at our discretion. If we determine that it’s a problem due to faulty manufacture, then we will of course replace it for you as you would expect. HOW LONG ARE THE GOODS YOU SELL WARRANTED FOR? All our Popup Marquees have substantial warranties which are listed on each product page. We’ve taken the step of offering a lifetime replacement warranty on the joints of several of our marquee brands – please see product pages for more details. If a joint breaks for the life of the unit, we will supply you with a replacement joint. The shipping of the replacement part will be borne by the customer. As per our Warranty Conditions our products are not warranted against damage caused by wind or misuse. If your product fails and you believe it is a warranty claim, you can contact us in the first instance however the actually warranty claim will be with the manufacturer and we will direct your claim accordingly. If you’re not exactly certain about any particular warranty period for a product you’re considering buying, just give us a call. Please also refer to the Warranty Page on our website which addresses specific questions relating to warranty’s. 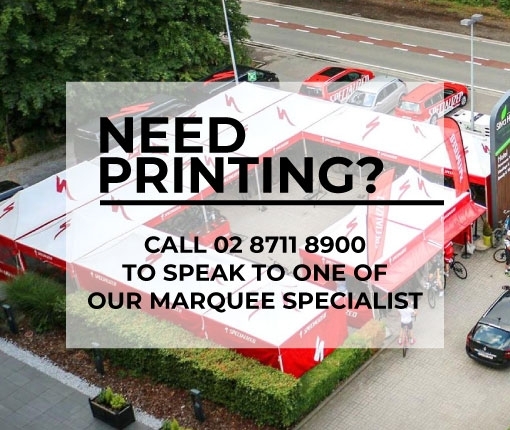 Just give us a call on 02 87118990 or email us at service@shadepopupmarquee.com.au and we’ll get it underway. You’ll need to have your receipt handy as proof of purchase. Different products are treated differently depending on what has happened. Sometimes we’ll ask you to send us a photo so we can better understand what’s gone wrong. Well, would it help you to know that Popup Marquee is owned and operated by Shade Australia Pty Ltd who have been in business since the summer of 2000 and that the owners of the company are still the same. Popup Marquees are a very important part of our business and so in 2018 we established a separate division of the company to really focus on delivering extra value to our customers. We started selling Popup Marquees very early on in the companies life and over that time have supplied thousands of popup marquees to customers like Surf Lifesaving Australia, The Cancer Council, the Department of Defence, hundreds of schools, big and small businesses, market-stall holders, campers, BBQ’ers, eventers, motorbike clubs, sports clubs, motor racing enthusiasts, hire companies and anyone else who needed a quality outdoor popup marquee. Would you like to know that always stand behind our products and do our best to give lots of information up front. We’re a family company and we’ve built our business on honesty and integrity. We stock only quality product and resist the temptation to sell cheap products which we know will let you down after only a short time. If there’s anything else you need to know you please just get in touch.